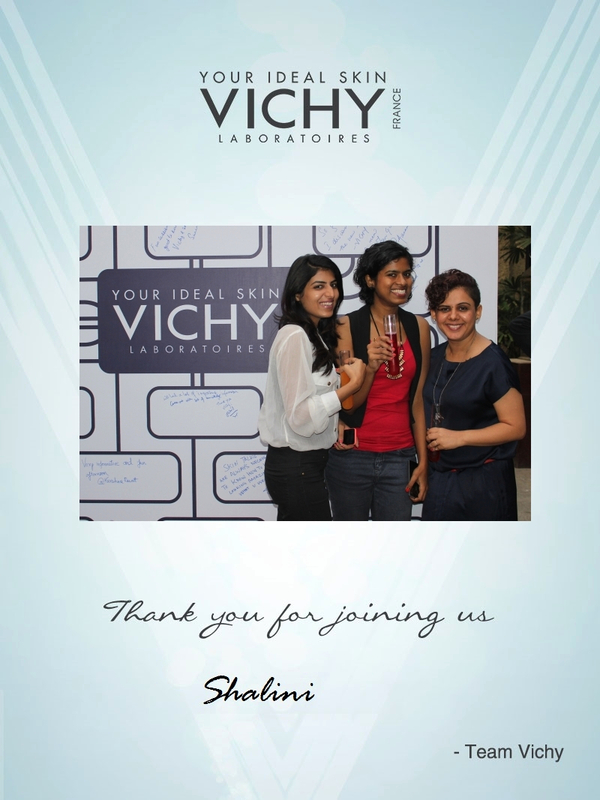 This was an evening organized by Vichy Laboratoires- the leading Dermocosmetic brand, for all the beautiful women in Mumbai to meet under one roof at Bunglow 9, Bandra and discuss their beauty woes. Not jut discuss, but get solutions to all their beauty problems from highly renowed experts. 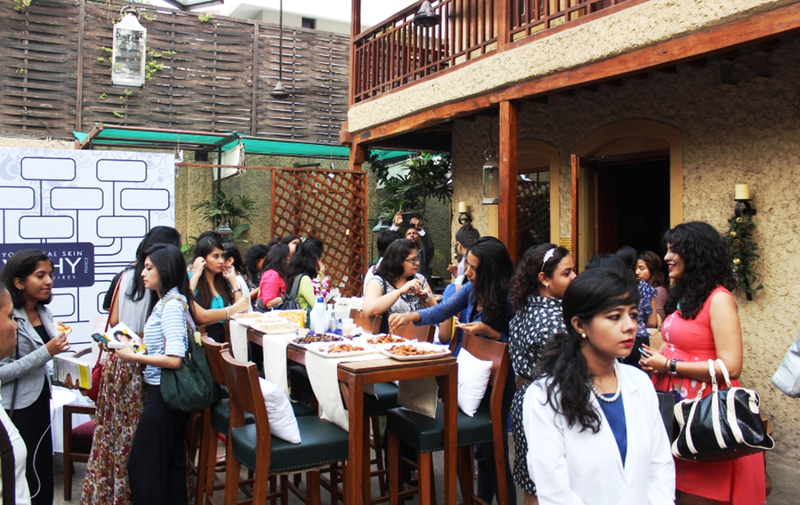 Dr Jaishree Sharad, the leading Dermatologist gave an insight into various Indian skin types, the major skin problems like skin pigmentation, anti-ageing and dullness and also threw light on the latest trends in cosmetic dermatology. 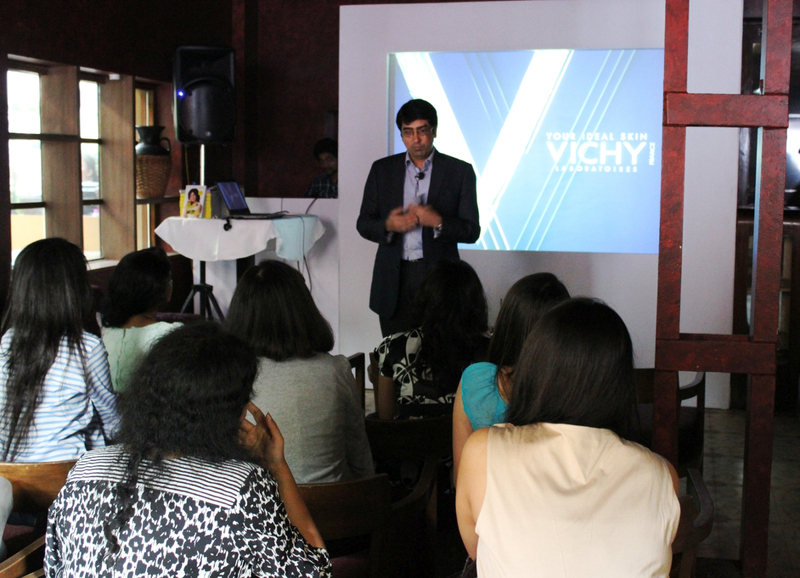 Present at the meet were Mr Sandeep Kripalani (Director, Active Cosmetics Division) and Himani Chandna (Head Marketing, Active Cosmetics Division) from Vichy, India besides Beauty editors and bloggers. 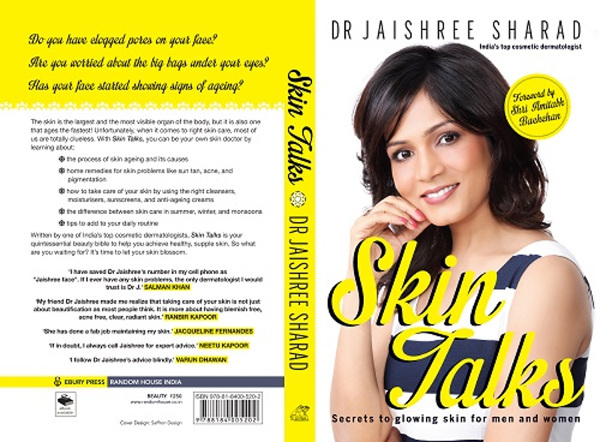 The event also saw the launch of the book ‘Skin Talks’ by Dr Jaishree Sharad. Vichy and La Roche Posay are two leading L’Oreal brands under the Active Cosmetics Division that meets a range of different skin care needs from normal to blemish-proned and is sold through various healthcare outlets worldwide, including, pharmacies, drugstores, and medi-spas. 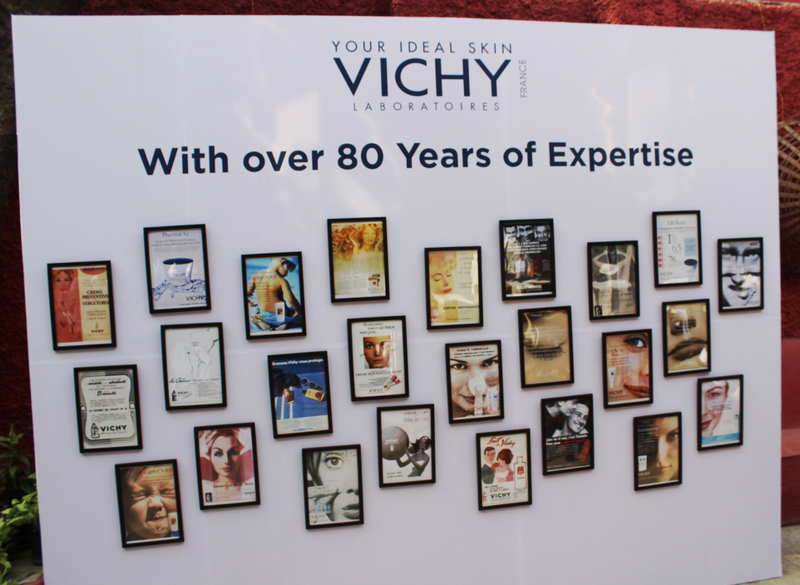 VICHY Laboratories was launched in India in 2002 and is available today in 500+ selective pharmacies in 22 major cities. 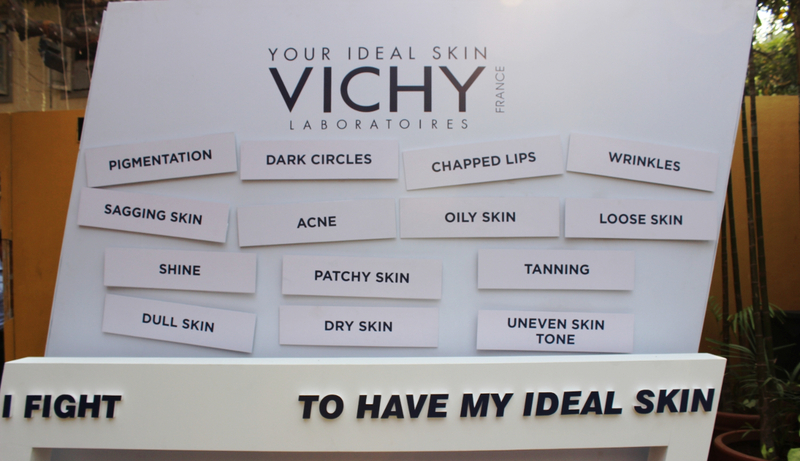 In these pharmacies, Vichy Laboratoires provides consumers’ with dedicated and professionalized advice on their skin needs. The brands mission is to promote and protect skin health by correcting imbalances and their expertise covers all skin needs for healthy (non-pathological) skin. These include: Bi White MED for pigmentation, LiftActiv for Anti-Ageing, Normaderm for Anti Acne and imperfections, Capital Soleil for Sun protection, Aqualia Thermal for Hydration and the Vichy Homme range for Men. The products in the range include Bi-WHITE MED Day Cream, Bi-WHITE MED Night Cream, Bi-WHITE MED Deep Corrective Whitening Essence and the latest one Bi- WHITE MED Eyes. Liftactiv is the No 1 anti-wrinkle and firming care that pushes the limits of anti-aging. Vichy has created anti-aging products that not only address fine lines and wrinkles, but also uneven skin tone, discoloration and lack of firmness. Liftactiv is a complete anti -ageing range that offers various day and night creams along with eye creams. The range includes two transform products, Advanced filler, for advanced signs of aging and Serum 10 for initial signs of aging. There is a complete care range as well, which includes day and night care products and under eye cream. Capital Soleil is an advanced range for all your sun protection needs and Aqualia Thermal ensures hydration up to 48 hours of soothing, refreshing moisture. Infused with fortifying Vichy Thermal Spa Water, it leaves a freshness that lasts. To counter both daily ageing and signs of ageing that set in over the long term, Vichy has created LIFTACTIV SUPREME, the 1st range of products for continuous correction for wrinkles and firmness to preserve the youthfulness of the skin right up until the night and in the long term. 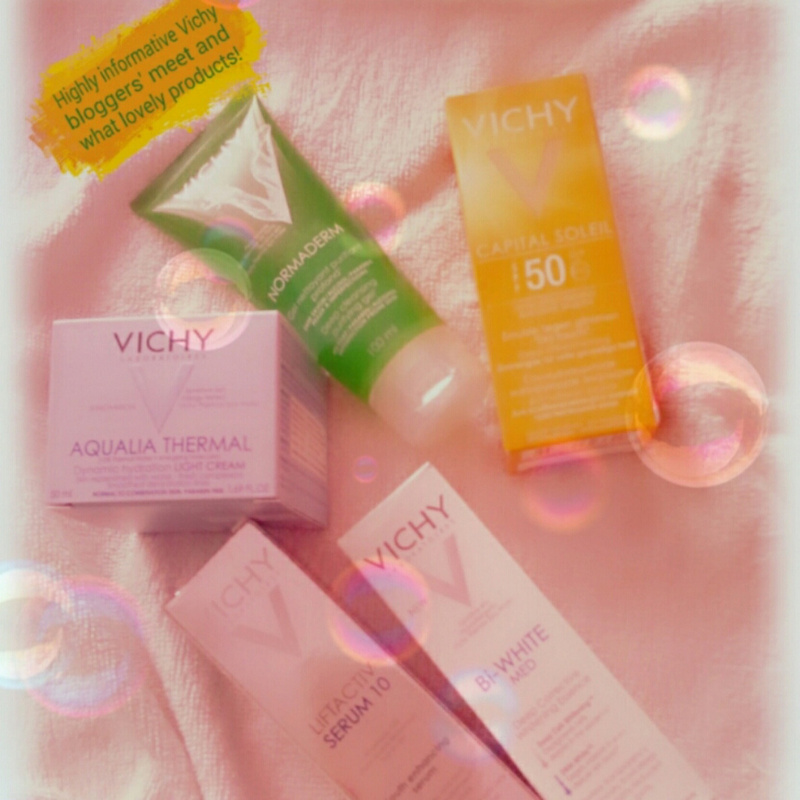 Vichy is revolutionising the hydration with new AQUALIA THERMAL range. Intensively infuse your skin with the targeted hydration, Aqualia Thermal Range has UNIQUE TECHNOLOGY OF DYNAMIC WATER DISTRIBUTION: For the first time, a hydrating sugar complex and Vichy Thermal Spa Water helps to boost the distribution of water and hold it in all areas of the face with lasting results. The lightweight, silky serum glides over skin with a quenching touch, plumping and smoothing.